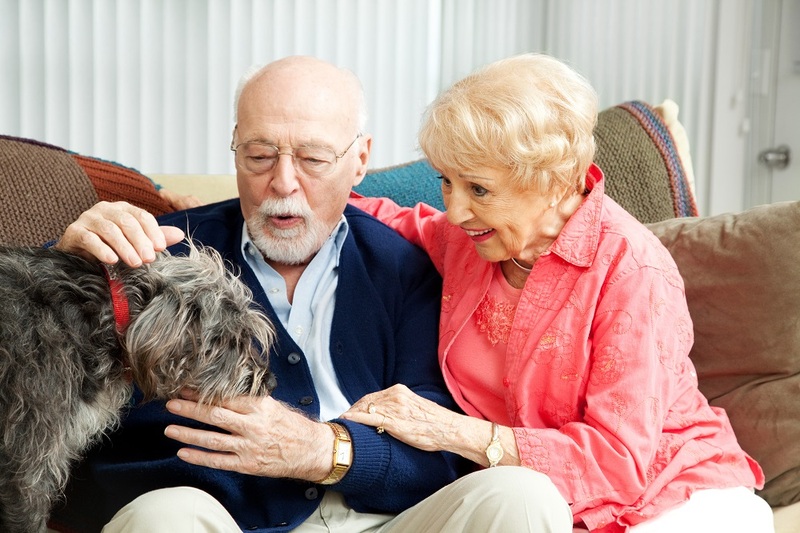 Pets have incredible healing powers, and they are incredibly beneficial for seniors. In particular, seniors who are struggling with dementia and other memory problems can benefit from spending time with pets in a supportive, monitored environment. Because of this, many dementia care facilities are now starting to offer the opportunity for their residents to spend time with dogs, cats, and other pets. Here are the ways they can help dementia patients. Dementia and Alzheimer’s disease are naturally very stressful conditions and it can be difficult for patients to manage these stresses effective on their own. Pets are very helpful for stress reduction. Studies have illustrated that spending time with a pet can help reduce the physical symptoms of stress, such as muscle tension and trouble breathing. Pets also can help reduce stress levels mentally because of their positive energy and disposition. When spending time with a pet, it’s easy to forget about other problems that may be causing stress, so it is a helpful break from the challenges of dementia. Pets provide a unique kind of companionship that is different from spending time with humans. Pets offer unconditional love and support that is very helpful for seniors to spend time with. Many seniors struggle with loneliness in retirement, particularly if they are also struggling with dementia, which can be very overwhelming. Pets provide a form of social interaction that isn’t too challenging and can be very heartwarming. Their sweet and funny behavior naturally boosts seniors’ moods and is relaxing. For patients with Alzheimer’s, it’s helpful to find activities from the past that they once enjoyed that can bring back soothing memories. If a dementia sufferer spent time with animals when they were younger, they may find that being around a pet again triggers pleasant, happy memories. This can be very helpful for reducing stress and confusion and keeping the mood calm. It’s very important that dementia patients still get the exercise they need to stay healthy. Animals can provide a great opportunity for gentle exercise and activity levels. For example, dogs need to be walked several times per day. Having a dementia patient do some of these walks (with supervision if necessary) gives them a fun way to get in some gentle cardio exercise. Even just playing indoors with a dog or cat is a form of activity that can get seniors moving. Since playing with a pet is generally very gentle, it won’t be too stressful on the bones or muscles or be too strenuous. It’s important that dementia sufferers are monitored when spending time with pets to ensure that everyone is safe and comfortable. It’s also important that the animals have an appropriate temperament for dealing with dementia sufferers. They should be relatively calm and patient, without being too loud. Many senior care facilities are starting to recognize the benefits of pets for dementia sufferers, and there are now many pet friendly assisted living centers around the US. These facilities either have community pets or they can even help residents care for their already existing pets. Spending time with animals is so beneficial for seniors struggling with dementia, so this is something to look for when choosing a memory care facility for your loved one.